If you’re looking for the best quality in the area and personal service that can’t be beat, you’ve come to the right place. At Groton Cycle Center we’ll give you the respect you deserve and the prices to match. We started this business as motorcyclists and continue to recognize some of the challenges customers face, and want to treat you like you deserve to be treated. Our rates are lowest in the area, with no exceptions when it comes to quality of parts, service work, or customer service. Our employees are friendly and will be there to help you every step of the way. 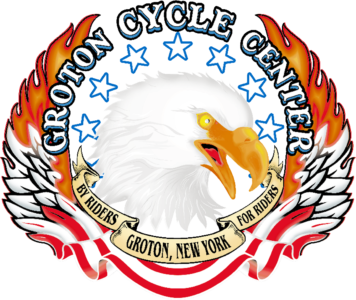 Groton Cycle Center has been located in Groton since 2005. We will do what it takes to earn and keep your business, just give us a call.